What If I Transfer Money Or Property To A Family Member Before I File For Bankruptcy? It depends on a number of factors, but the main consideration to keep in mind is that if the transfer was significant or large, then it is possible that the Bankruptcy Trustee would want to investigate the matter. But let me back up just a little bit. When you file a St. Louis bankruptcy, the court requires that you disclose a great deal of information about yourself. Included on this list would be everything that you own (cars, houses, clothes, furniture, and jewelry; but also things like bank accounts, stocks and bonds, mutual funds, and retirement plans; and then there may also be lawsuits that you are a part of from which you may receive funds). The reason why such a disclosure must occur is because the Trustee is entitled to know exactly what you own (or have an ownership interest in). This is because the Trustee’s main job is to determine if there are any assets you own that have a good deal of equity or value. If in fact there are any assets that have a good deal of equity or value, it is possible the Trustee would want to liquidate the asset, and use the proceeds to pay towards the unsecured creditors that will be discharged in your Missouri bankruptcy. But the Trustee is also entitled to know if you have made any transfers of goods, assets, or money to an “insider”. An insider is described as a friend or family member (so obviously not a typical unsecured creditor like a credit card, medical bill, or payday loan). Whenever a transfer is made to an insider, the main thing that the Trustee will want to know is: how much was transferred. The Trustee has an opportunity to look into any insider transfers within the full year preceding the filing of your St. Louis Chapter 7 bankruptcy. So let’s say for instance that you pay back your mother on a debt you owe to her in the amount of $3,000 three months before filing your Jefferson County, MO bankruptcy. The Trustee will undoubtedly ask questions about this transfer, will ask for your mother’s contact information, and determine if your mother still has the money. If in fact your mother does not have the money anymore (because she has already spent it), then it is quite possible the Trustee will demand that your mother pay these funds into the bankruptcy estate. If this type of scenario exists in your case, then it is highly advisable to talk an experienced bankruptcy lawyer before you do anything. 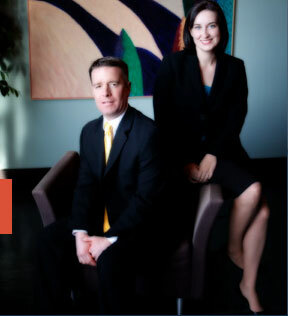 The affordable St. Louis bankruptcy attorneys at Brinkman & Alter, LLC have been helping people get through their financial troubles for over ten (10) years. Our goal is to make sure that you get rid of all your debts, and that you are in a great position to move forward with life. We have two locations: in the Central West End, at 1 North Taylor, St. Louis, MO 63108; and the Twin Cities of Festus / Crystal City, at 1000 Truman Blvd (Highway 61/67) 63019. The initial consultation is free of charge. So contact us today to learn more! !